Seattle food writer Flinn (The Sharper Your Knife, the Less You Cry) guides you patiently in the kitchen like the mom you always wish you d had to learn how to cook from. 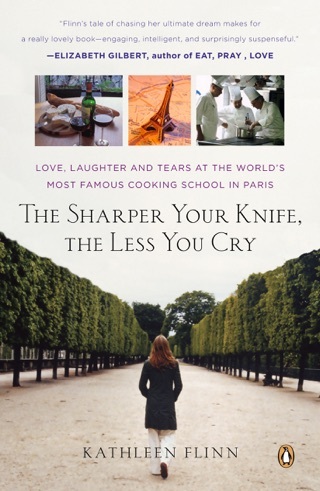 Although a graduate of Paris s elite Cordon Bleu School, Flinn, like Julia Child before her, aims to demystify rarefied culinary know-how and bring basic cooking lessons to the simplest level.. 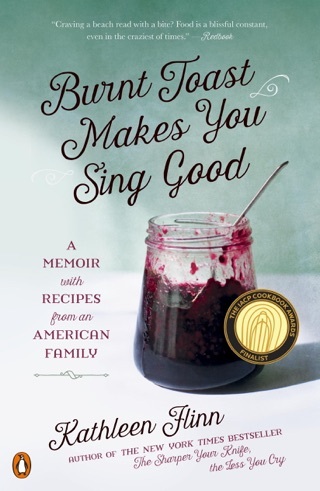 Inspired by a cable TV show that walked guests through their own closets and tutored them on what to wear, Flinn chose nine eager-to-learn women of all backgrounds and ages for her experiment, examined their kitchen cabinets and refrigerators with them, and made each one prepare one of their typical dishes. The results were sadly predictable, as most relied on prepackaged ingredients. Moreover, the waste was staggering (many shop at warehouse stores and buy too much). 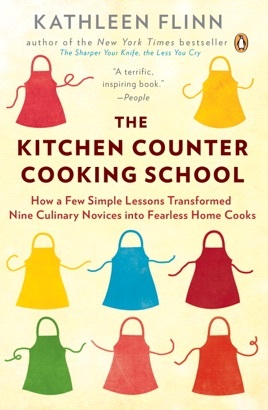 Over the course of several weeks worth of lessons, recorded in chapters, Flinn instructed the women in the rudiments of preparing food: from wielding knives, comparing tastes (i.e., salts, mustards), cooking vegetables four ways then splashing with flavors, mastering a vinaigrette and omelet, handling chicken, meat cuts, and fish, and even baking bread. In the end, the women gained confidence under Flinn s wonderfully encouraging tutelage, and fearlessly faced their kitchens and grocery stores with useful knowledge.